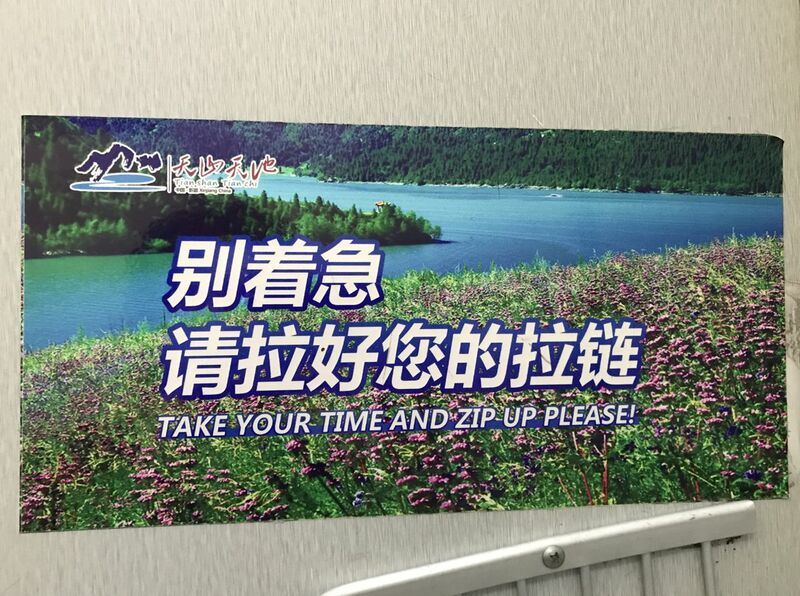 Who says the Chinese aren't considerate of others?! 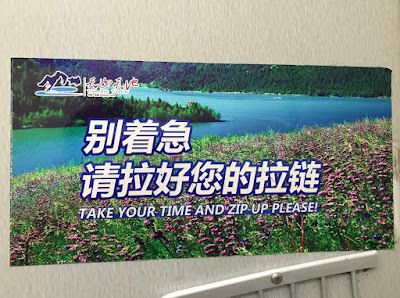 After visiting Tianshan Lake near Urumqi, we we to the loo and when we closed the stall door we saw this sign. I have never seen such a friendly reminder before which is why I had to take a photograph of it! All bathrooms around the world should have them!